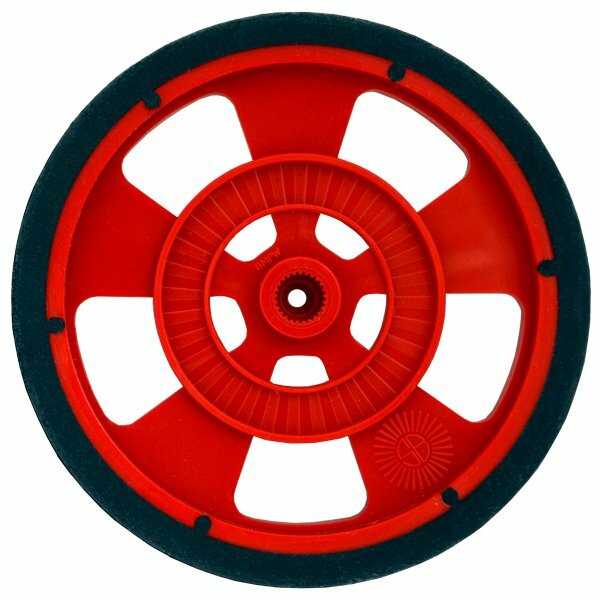 This Solarbotics Servo Wheel features a rubber tire with plenty of grip and a bright red color to get your robot noticed. 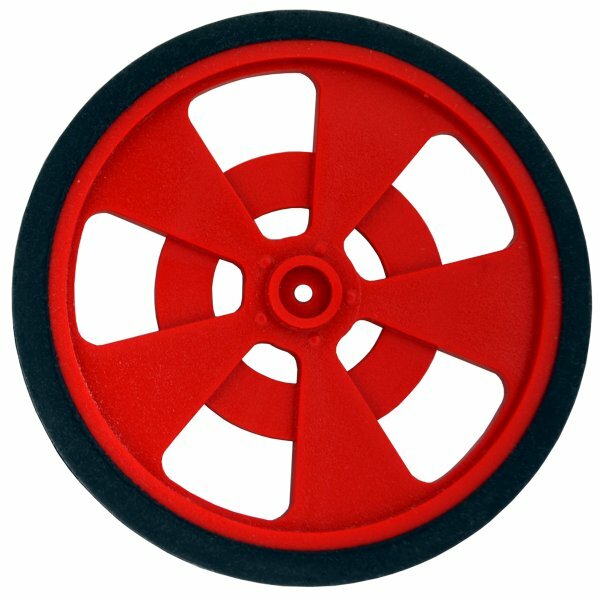 Solarbotics servo wheels are made from durable ABS with thermoplastic silicon tires for excellent traction. This wheel is designed to fit most standard sized servo hubs and works well with our standard sized continuous rotation servos. Servo wheels are sold individually. Each wheel is about 2 5/8" (69mm) in diameter and about a third of an inch (7.6mm) thick.